It can happen easily. 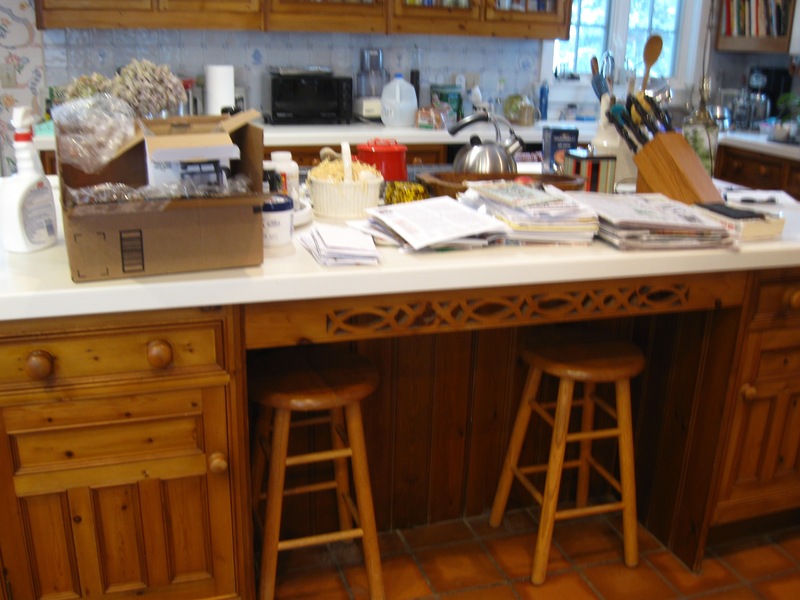 A wide kitchen counter is a convenient place to drop mail and other items, especially when the other person living in the house and its two friendly dogs want attention. 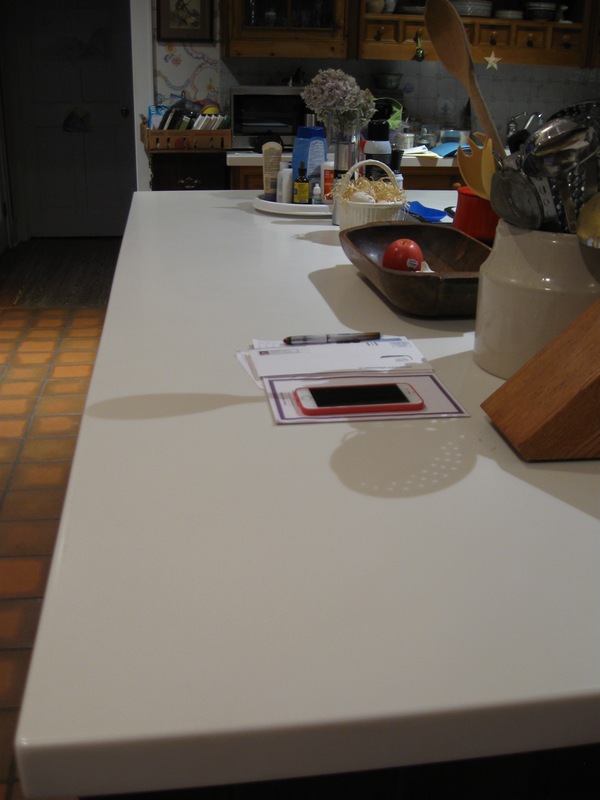 Judy and I devoted a wintry day’s session to clearing the counter. 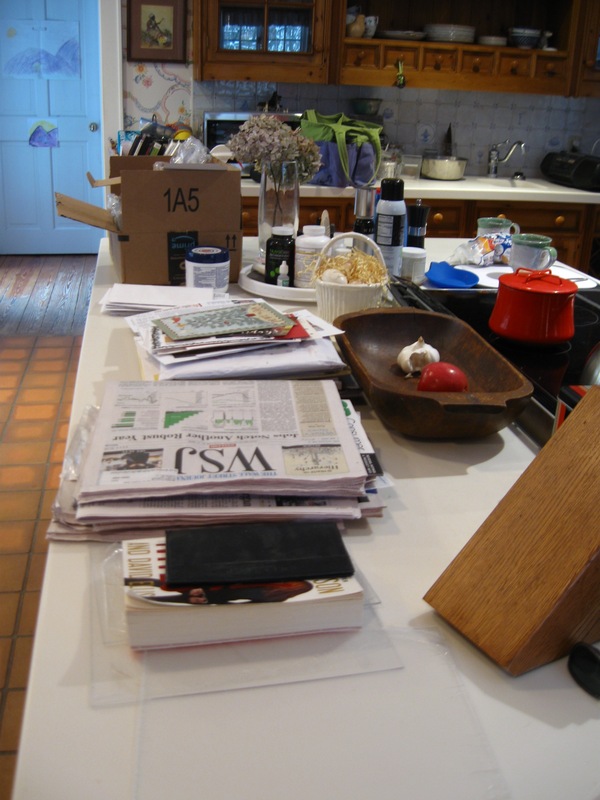 It had a pile of newspapers, holiday cards, other mail and a box of gifts to be sent. 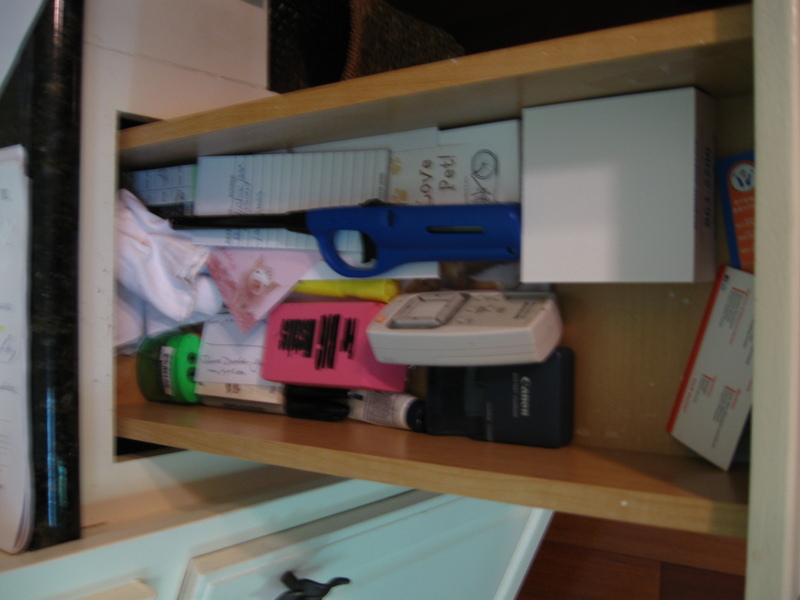 As we worked, we decided where some items might go – into her desk and a file cabinet, which we would clear at another time. 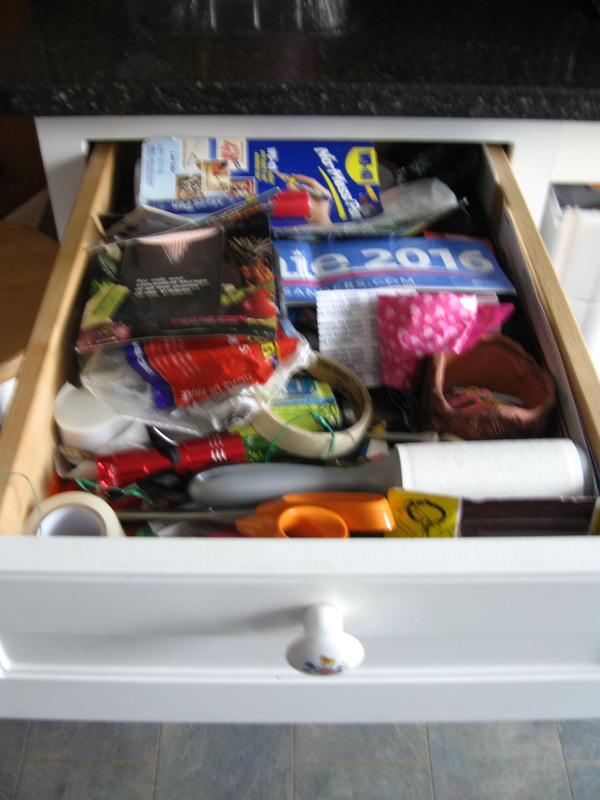 Jennifer found De-clutter Me! online, reading the website Timely Tips. She got in touch shortly before Thanksgiving. We emailed back and forth, spoke, and set a date for just after the holidays, during the first week of January. A nasty snow storm got in the way, so we postponed. Our first session date finally arrived – on a brilliantly sunny and cold afternoon, the day after another snow storm. Quite typically January. We set to work, and cleared the table. 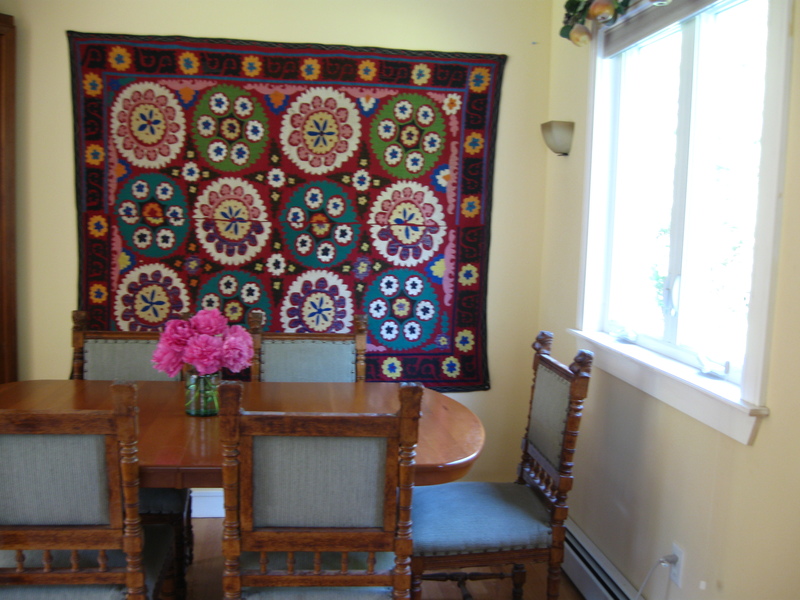 We found a quote, from the 19th century Arts and Crafts designer, William Morris. 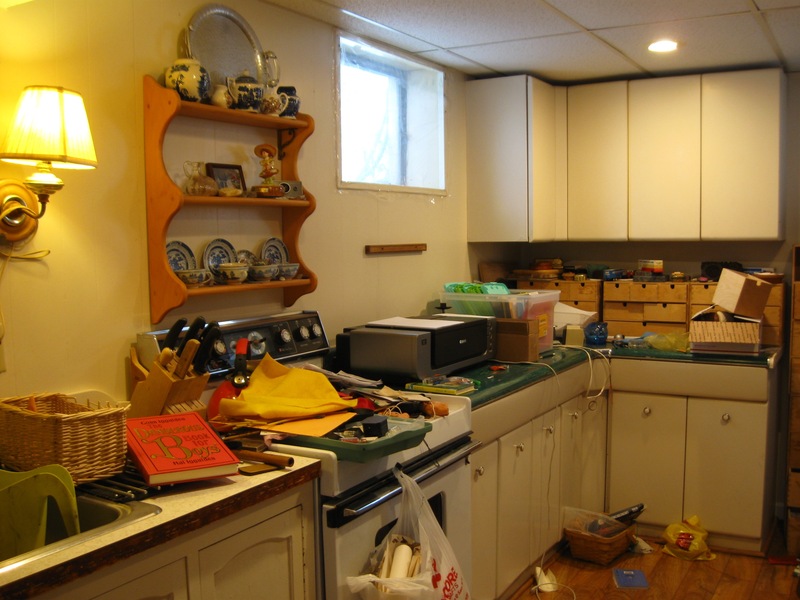 “Have nothing in your house that you do not know to be useful or believe to be beautiful.” That’s good guidance! In the pile also was a handwritten note, based on a conversation with Jennifer’s friend Jari, who suggested that they “lean into it” – their de-cluttering work. 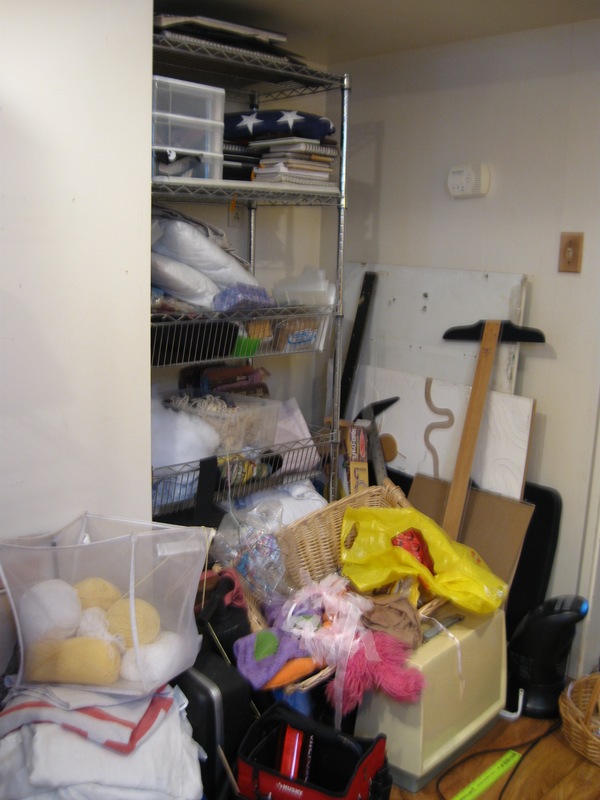 Jennifer said that she could tell that I, as a professional organizer, would be “fuel for the jet engine,” their catalyst. We spoke about areas to focus on next time, looked at our calendars and scheduled our second session for just under three weeks away. Smiles all around! Success! How to tame a table? Impossible, since it’s an inanimate object, but the alliteration was fun to write. You know how it can happen. 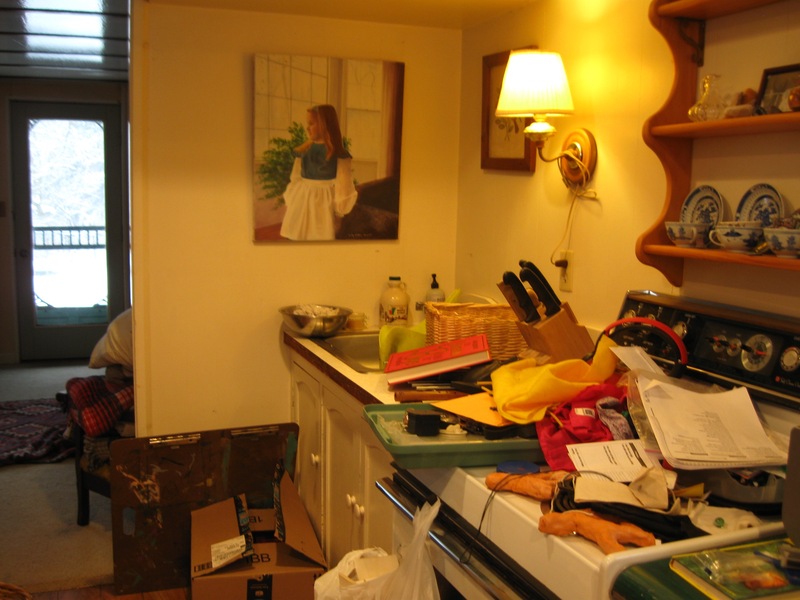 One area gets cluttered, then the clutter spreads. 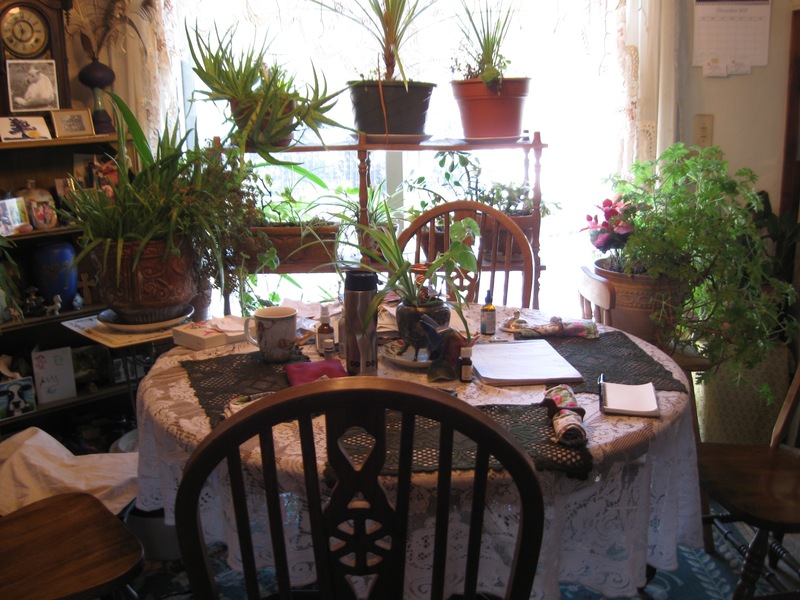 Ann and I spent our session together clearing her table and, in the process, created some new files that would make sense, and whose papers would be easy to find when needed. We moved her portable files near to her desk, which is a better spot for them. 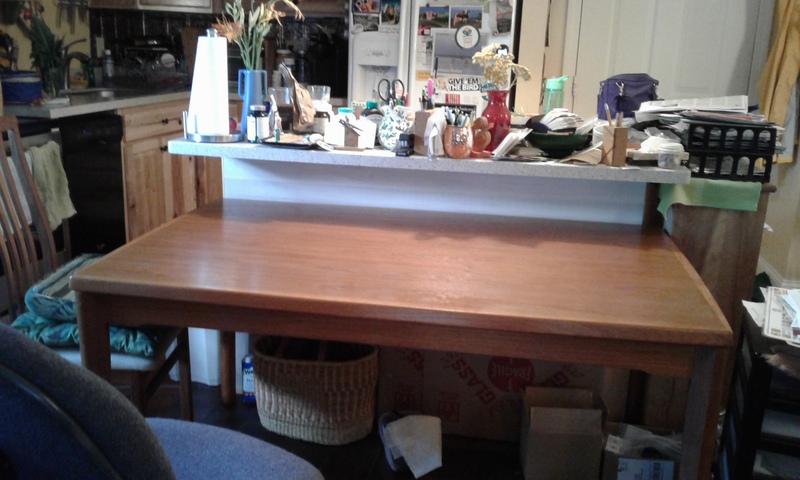 As we finished, and with great energy, Ann polished the top of her very nice teak table. 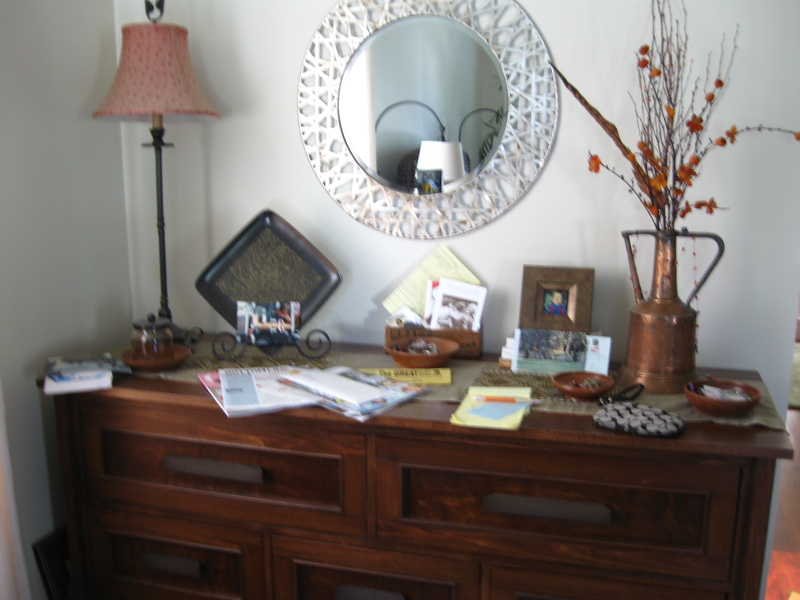 Like most clients, Bev is busy with her family, her job and varied activities. 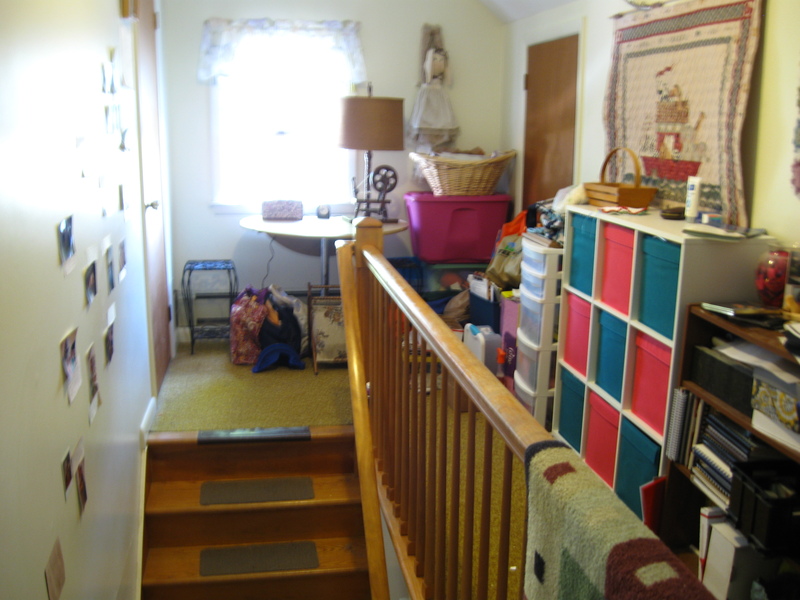 When able to schedule more “double session” days together, we focused on her upstairs hallway to organize her crafts and church volunteering materials and books. 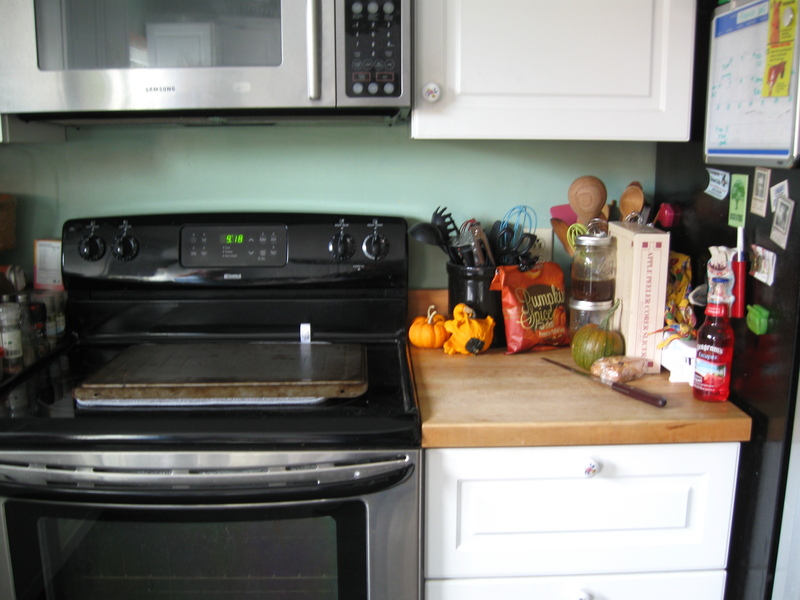 Next, with the upcoming holiday season in mind, we worked in the kitchen. 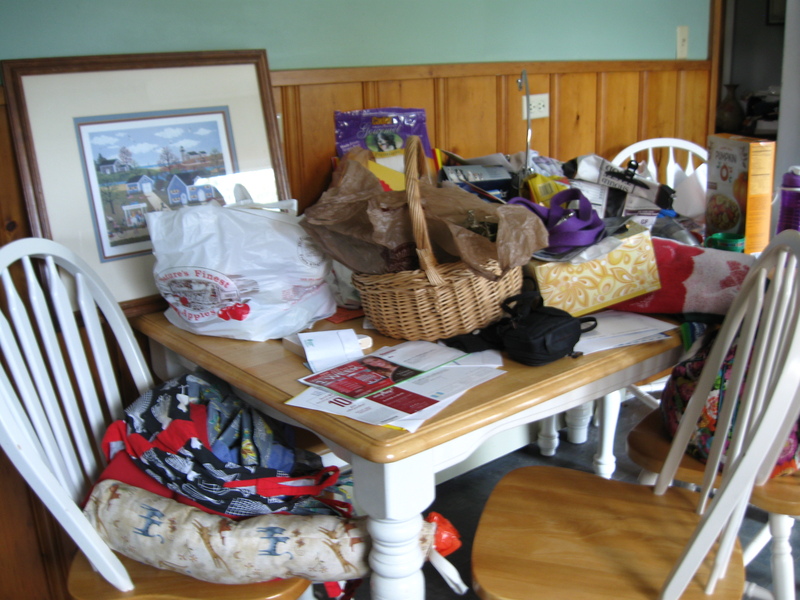 Starting with the kitchen table, we worked our way around the room. 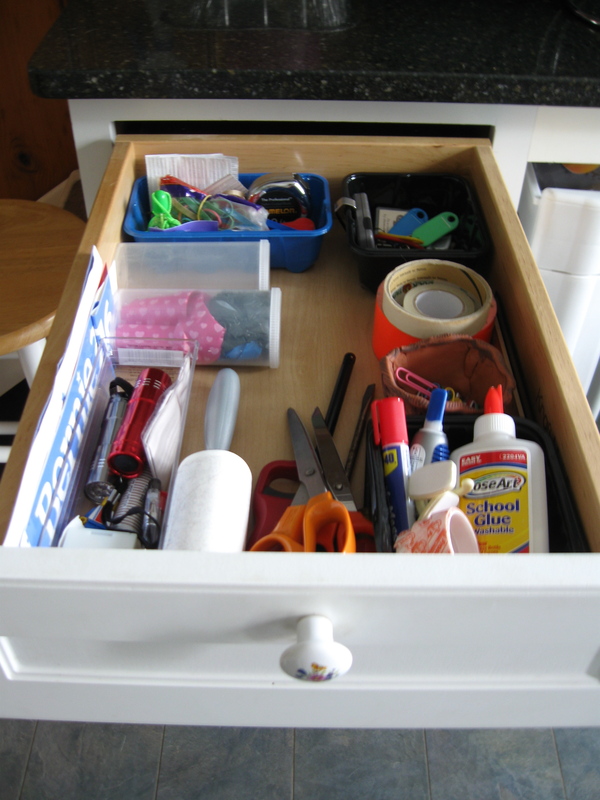 We cleared counters and organized the junk drawer. 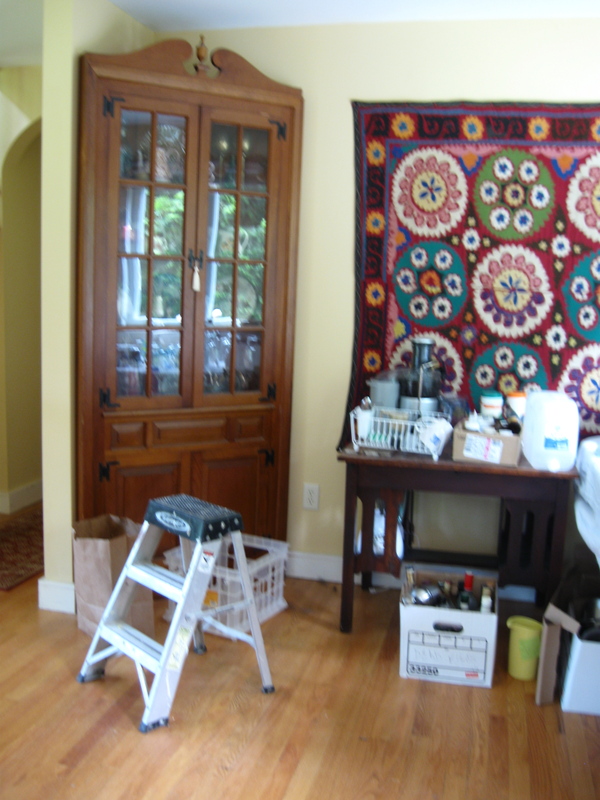 A possible future project – organizing two upstairs closets, one of which is named Beauregard. Really! Simone and I had some time to focus on the kitchen. Husband Ron was away for the day and we had the house to ourselves. 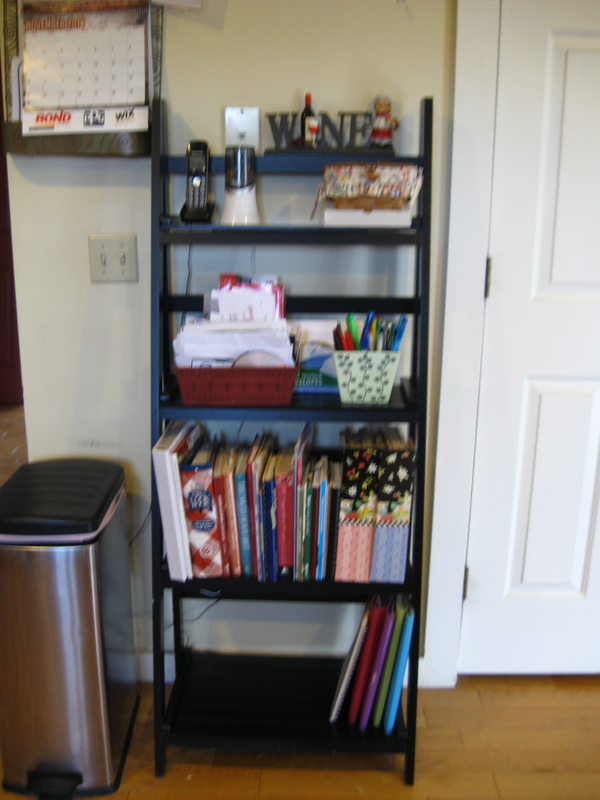 We started at one end, first straightening a small bookshelf holding a phone, cookbooks and other items. 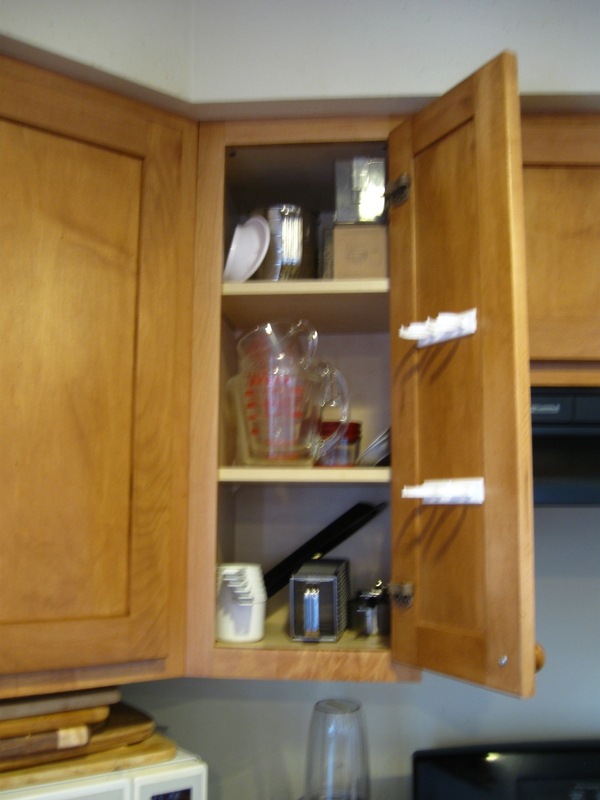 We next worked on cupboards. 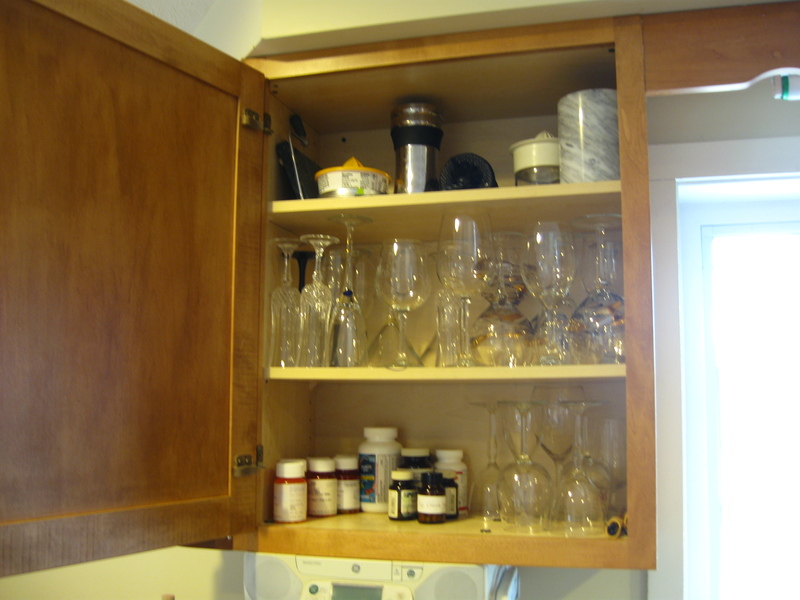 Starting at the top of each, we placed items that aren’t used very often on the top shelves. 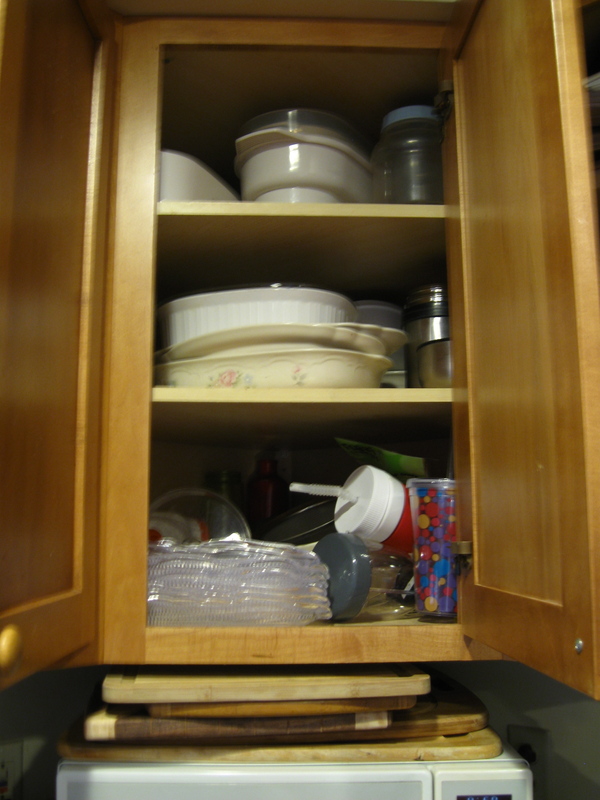 We reserved the “most valuable real estate” (the lowest shelves) for things used most – measuring cups, plates, etc. Our time together used up, she looked around, smiled and said that she was pleased with her “new” kitchen. Success! Lori’s major job involves caring for cancer patients. She also works with color clients. 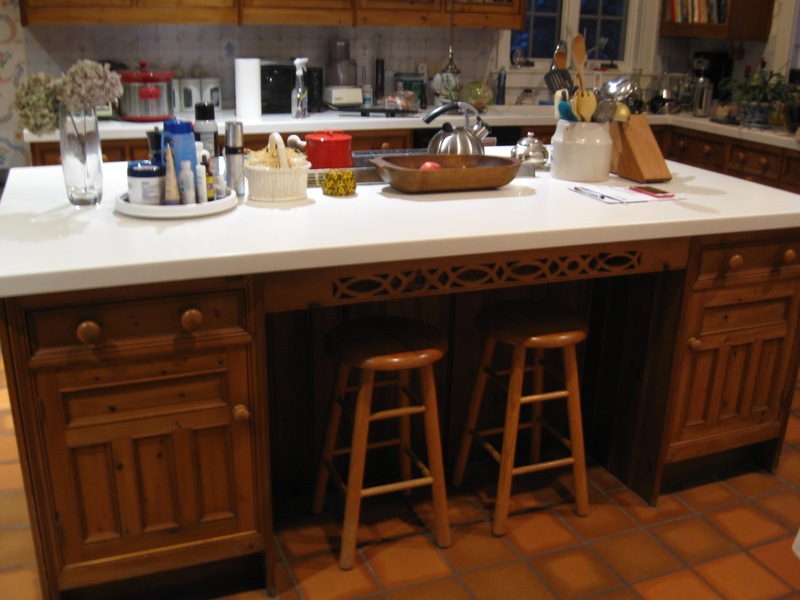 Her retired husband is a very skilled woodworker. 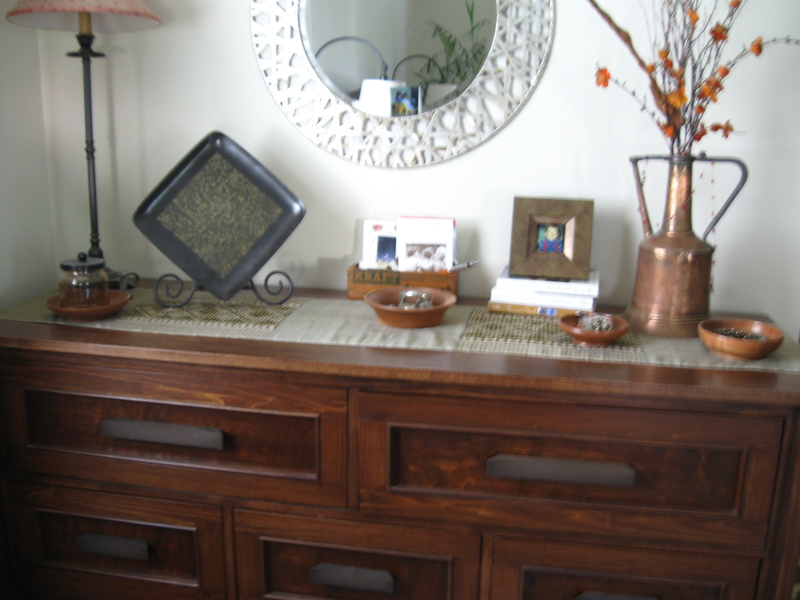 Pieces in their lovely home look like they’re from a high-end furniture store. Like most clients, she’s busy. We worked together on a beautiful Saturday morning, first in the kitchen. 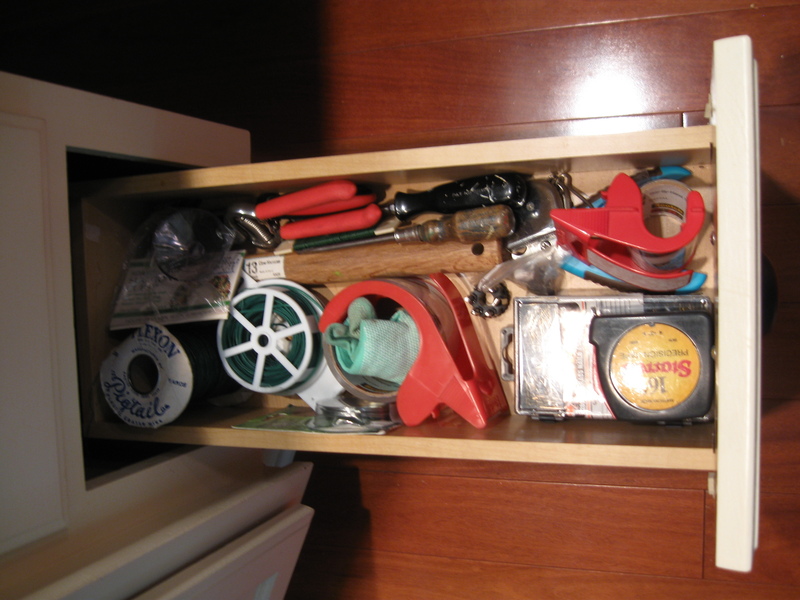 A few drawers below a countertop needed reorganizing. We worked from top to bottom, moving things around. 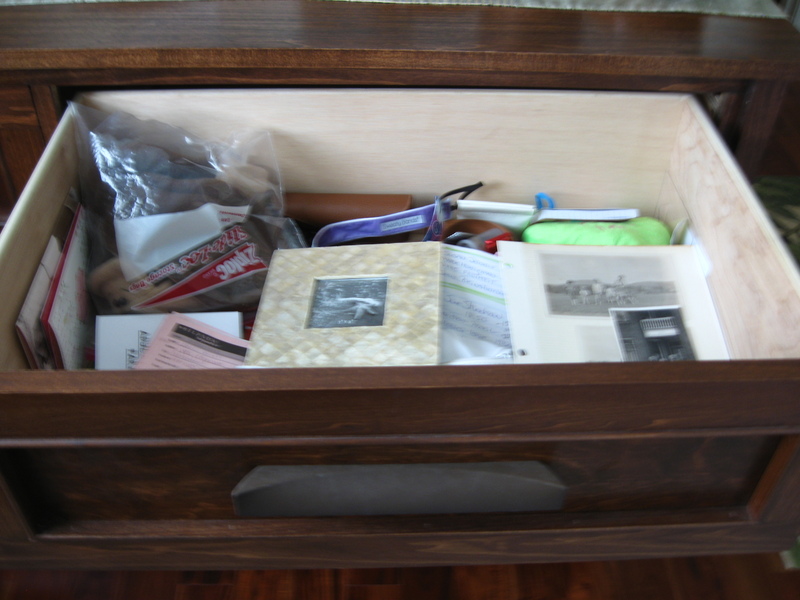 With some remaining time, we worked in their bedroom, clearing the top and a drawer of a dresser that husband Jim built. 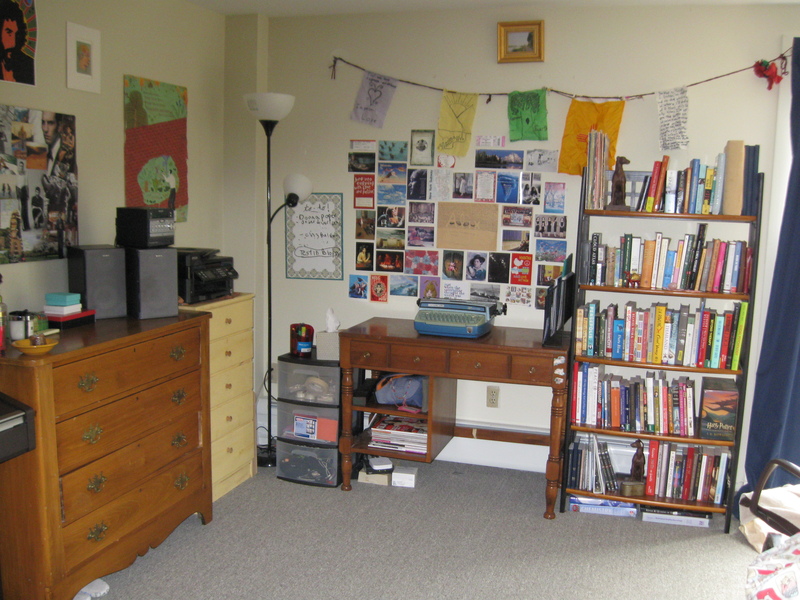 Julia lives in a two-room apartment on the third floor of a nationally-recognized historic building in Middlebury. Its back room looks down on the winding Otter Creek, where she actually saw an otter a few months ago! 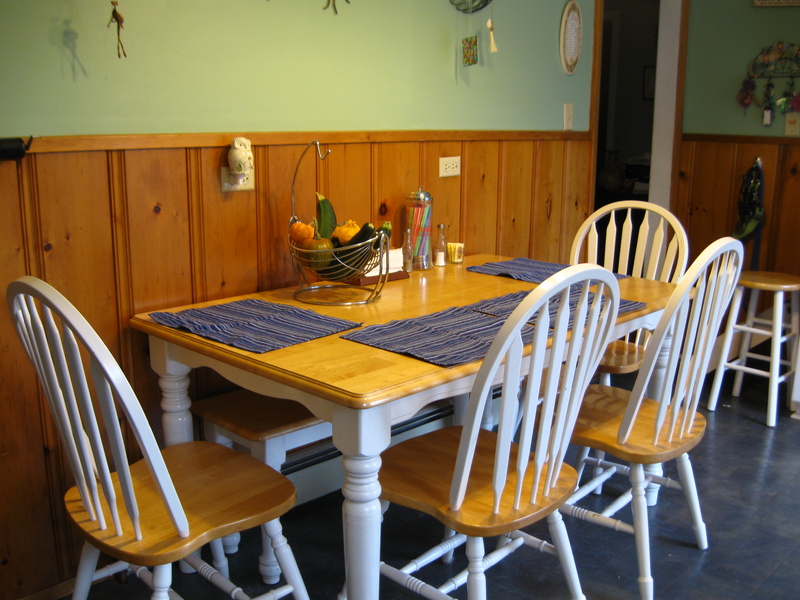 It’s also within easy walking distance of the town’s many shops, cultural and culinary attractions. 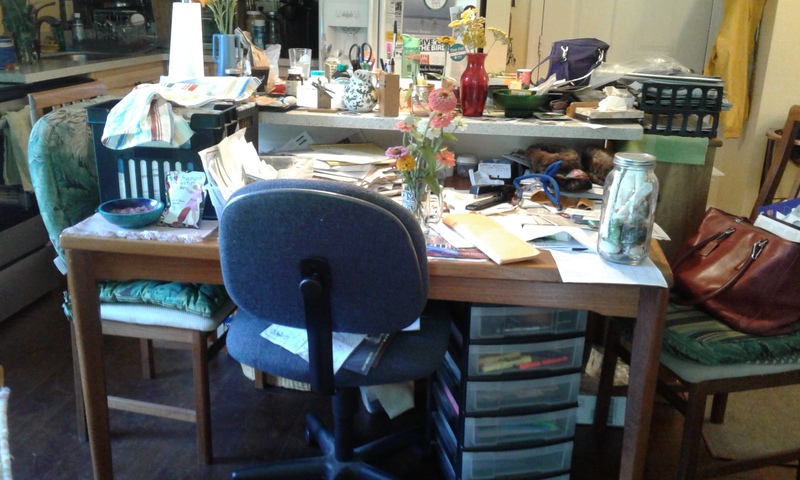 She was a bit unsure if we could conquer her clutter, since she has “pack rat on both sides of the family.” Would we be able to slay (what her sister calls) the Paper Dragon, too much saved paper needing to be filed better or recycled? We scheduled a Saturday morning session for early May. As it turned out, the afternoon’s client had to cancel so, if she was up to it, we could do a “double session day.” The morning was cloudy, with rain threatening. The sky cleared, though, and Julia opened the windows wide to welcome the warm, soft air. 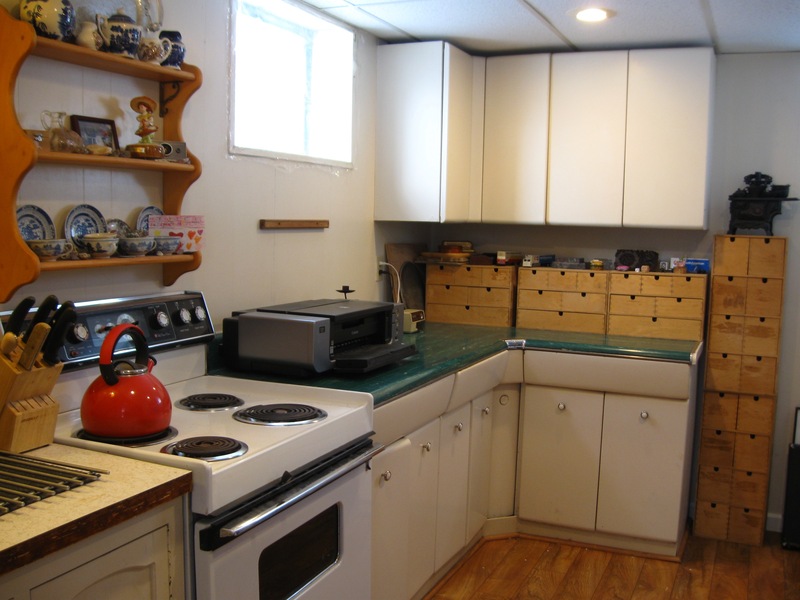 Listening to classic rock, we got to work in the back room that holds her bed, sewing table and kitchen area. 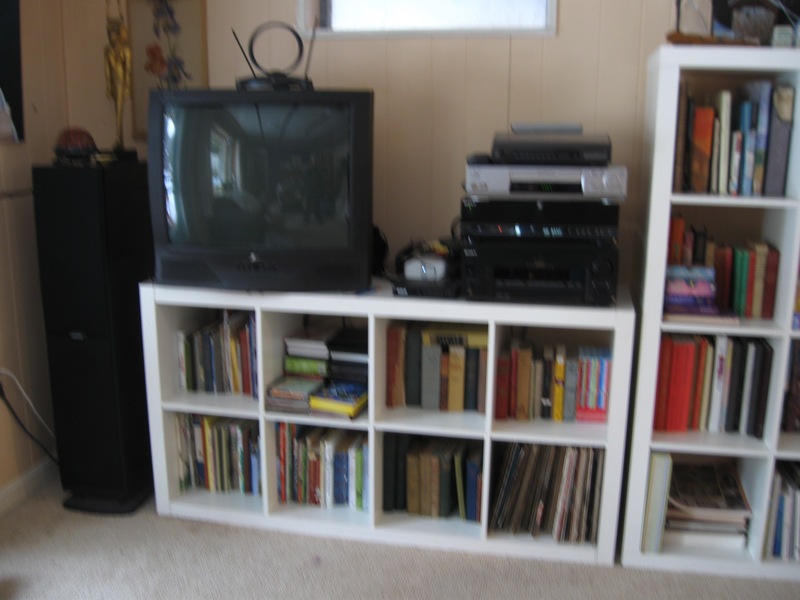 We first moved a white bookcase out into the hallway, with a sign declaring it free for the taking. 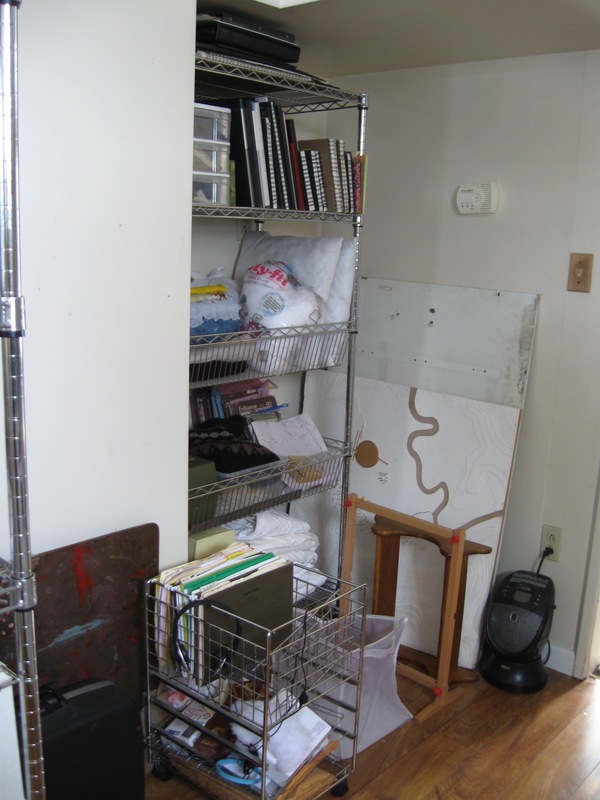 My goal was to open up as much space as possible, to make the room feel bigger, while using every remaining inch to store items efficiently. 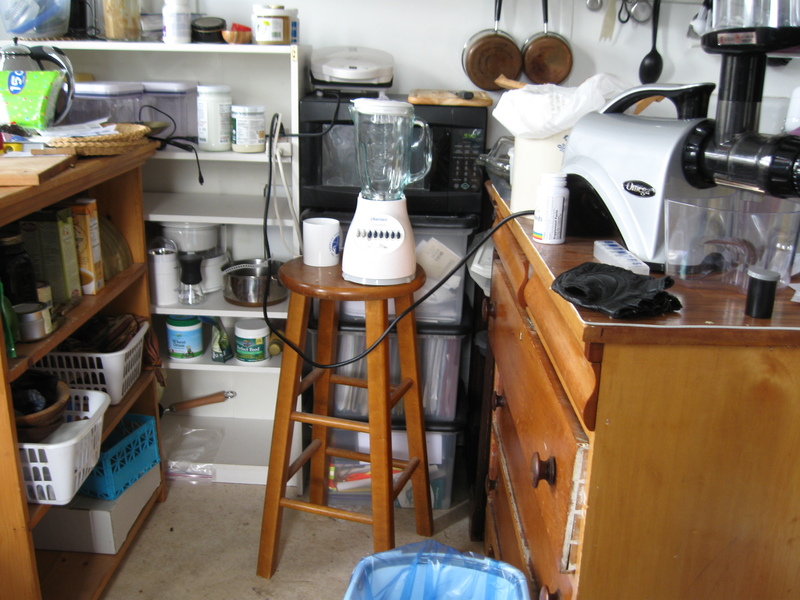 We grouped small appliances, some food items and cookbooks. 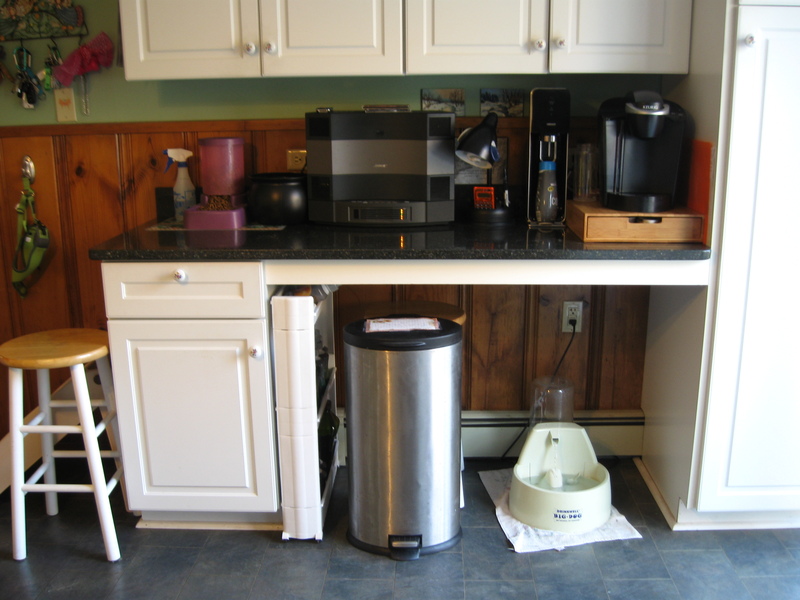 We reserved a prime spot for her juicer, which she uses every day. 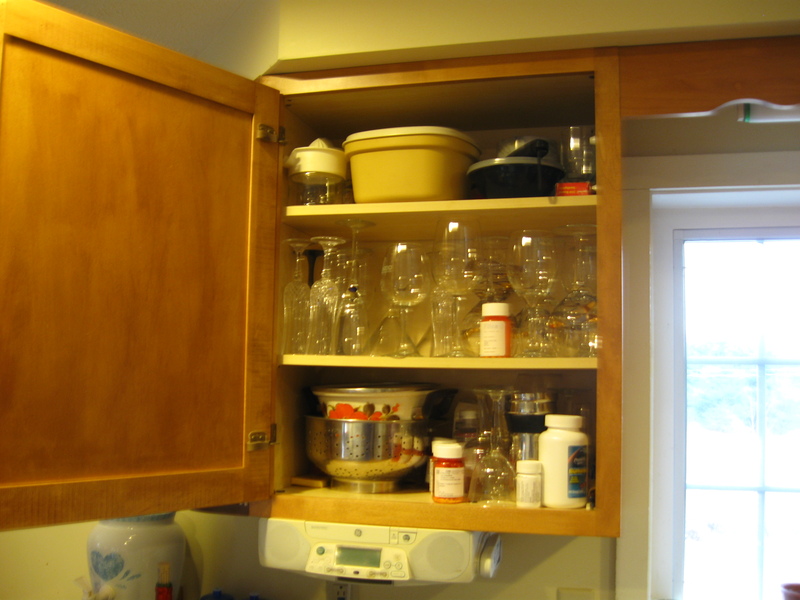 Pot lids that had hung on cupboard doors were moved to nails below them. 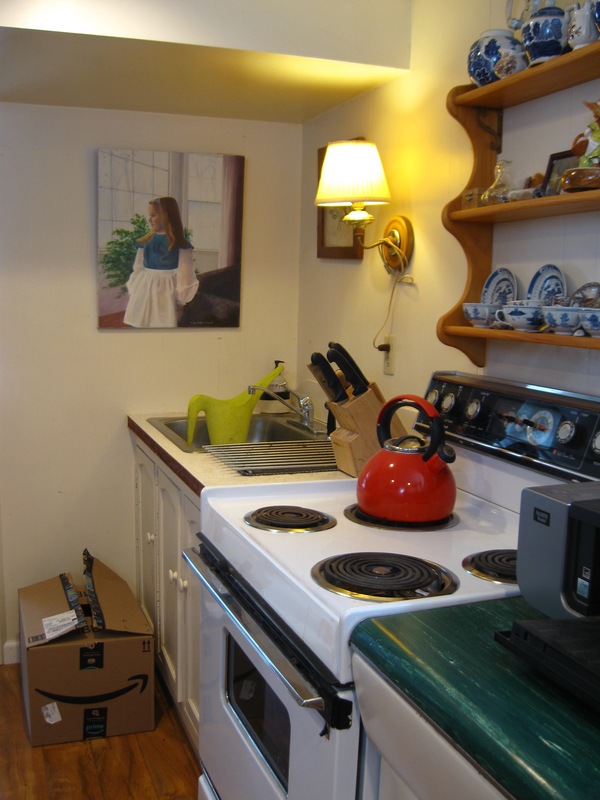 We strategized about smaller aspects of the kitchen project that Julia could do on her own, before our next available time together. 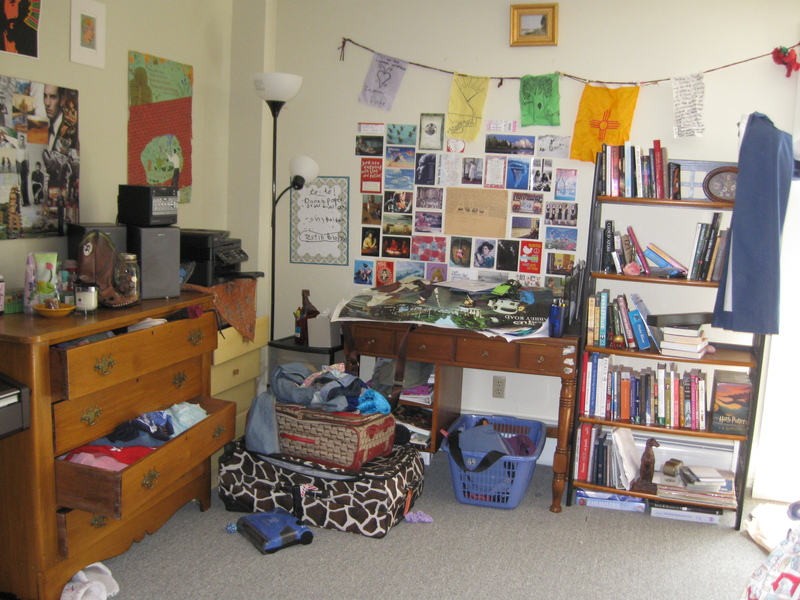 We cleared her bed, stowed laundry in a corner, organized books. 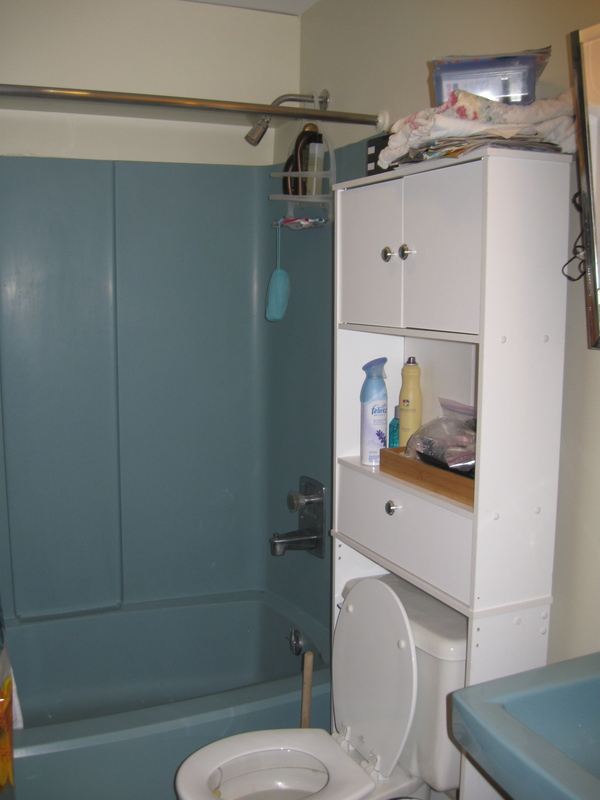 With our remaining time, and as the tired Julia directed, I cleared two shelves in her tiny bathroom, so that some of its space could be used better, too. 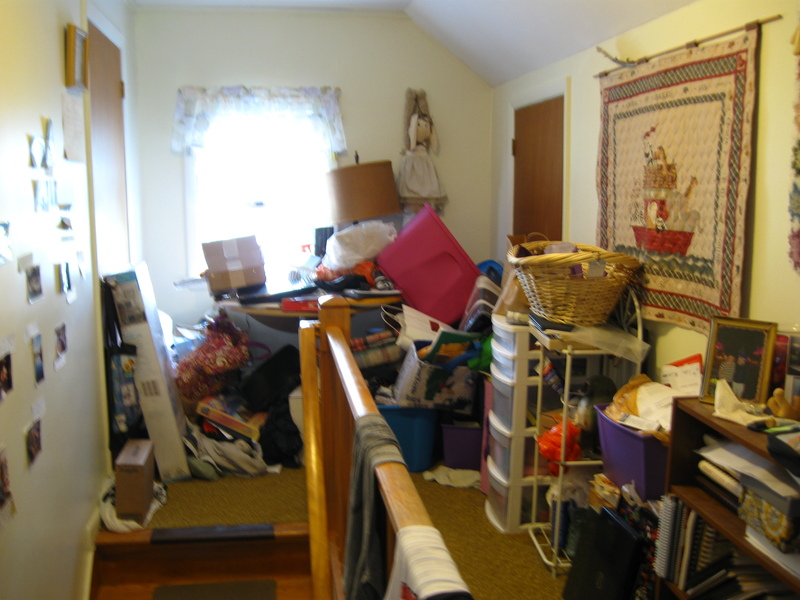 Deciding to delay battling the Paper Dragon until after addressing a more pressing need, we spoke about clearing her front room next. After all, it’s where she writes and enjoys crafts and other projects. Looking forward to our next session(s) together, Julia now has a bigger-feeling back room. All the better for spotting otters! 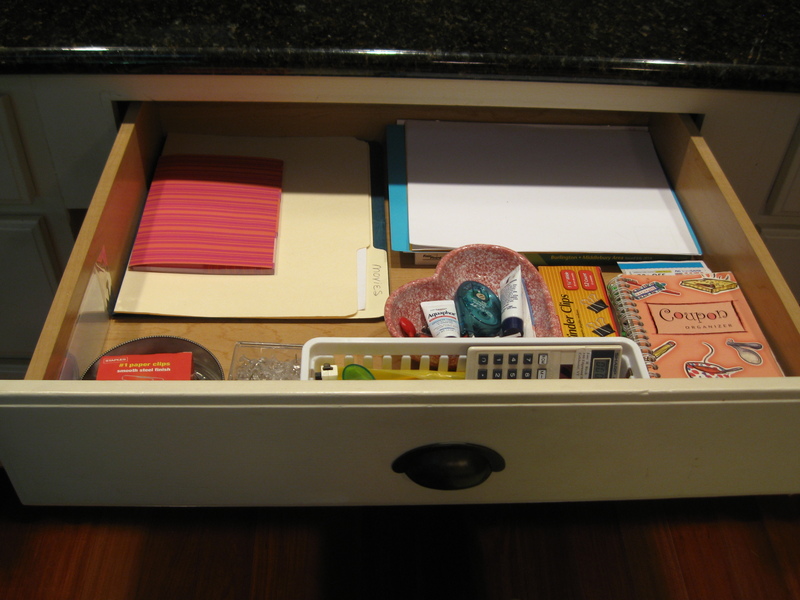 Alix knew that she needed some help with organizing her student apartment, and with establishing some new habits to keep her ahead of clutter. How? 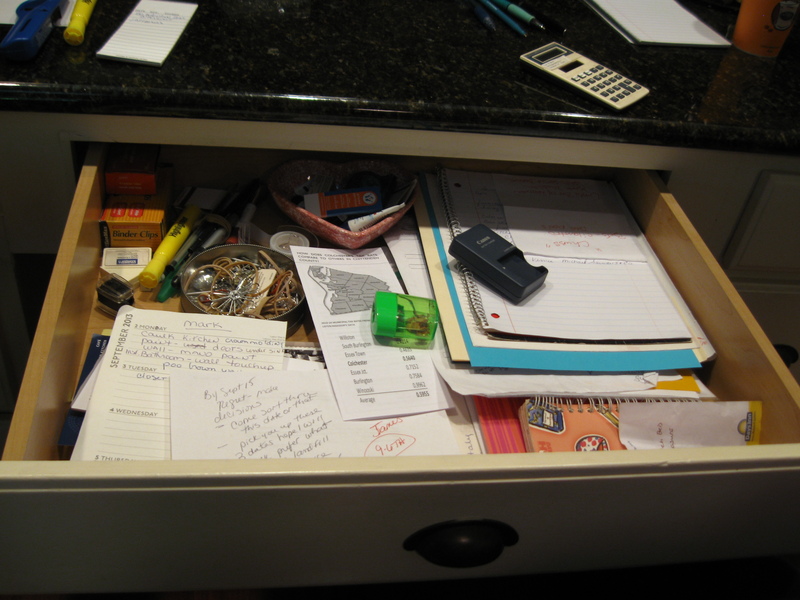 An Internet search for a professional organizer led her to De-clutter Me! She called early on a Friday night, quickly apologizing for calling after 5.00 pm. Luckily, a cancellation for the next afternoon provided an opportunity to help out, and fast. How best to use our time together? After a tour, as is typical with new clients, I asked what was bugging her most. After a bit of thought, she mentioned her desk, which she couldn’t use. We went to that area. 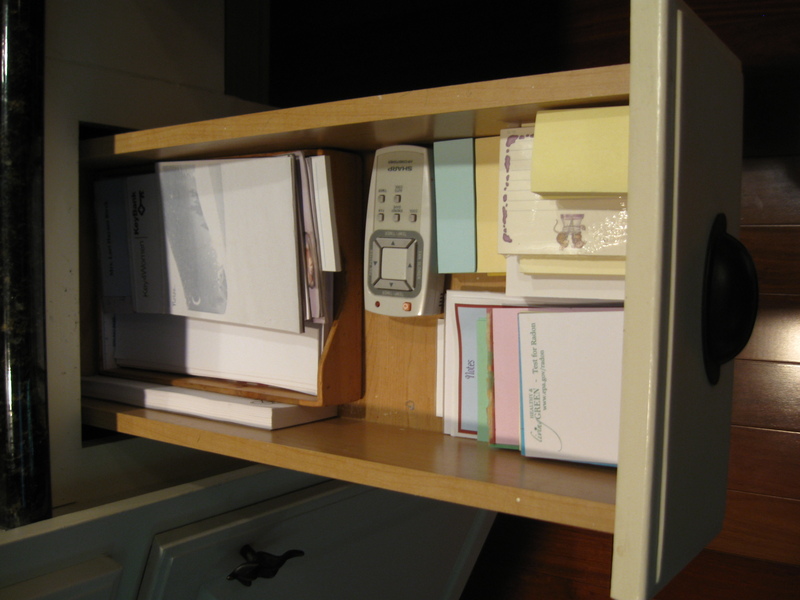 Before clearing it, we straightened up her bureau top. 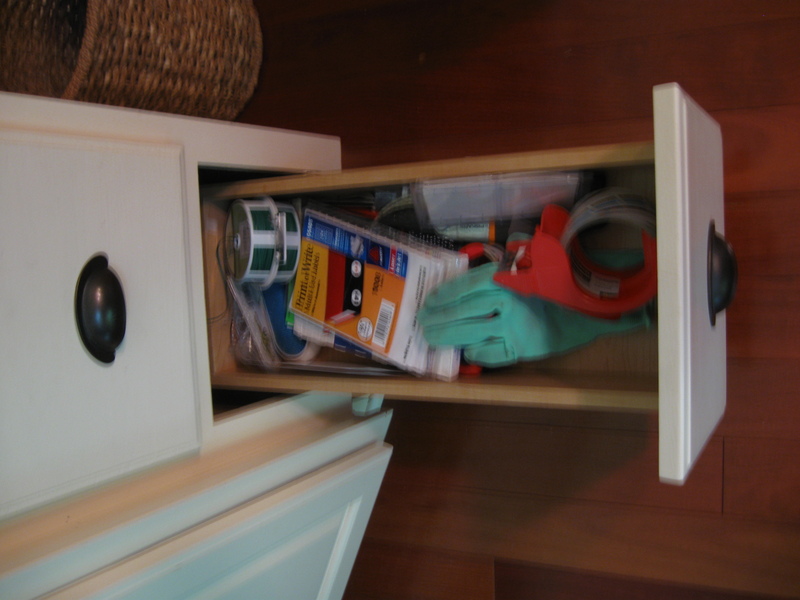 Below it, drawers were open. I suggested that she might roll her t-shirts, so that she could see their varied colors easier, and also to save space. 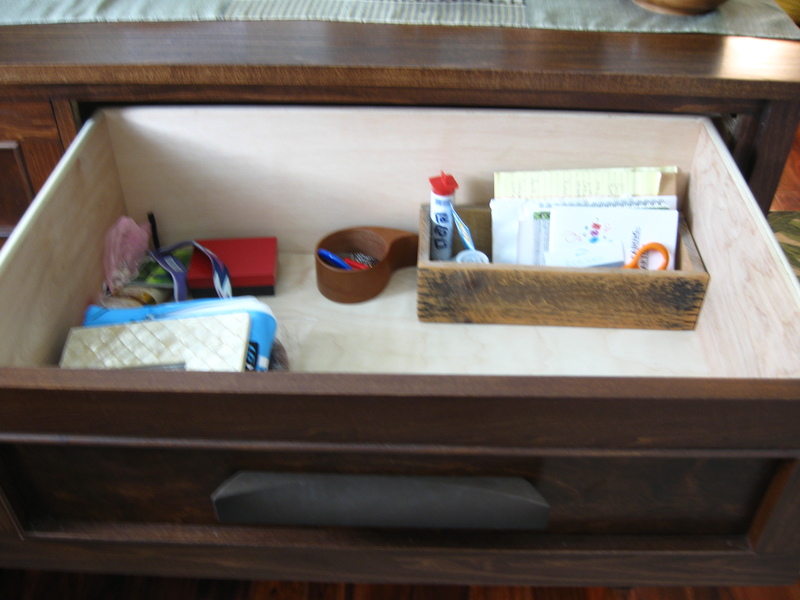 Next, the desk. Her musician boyfriend Roy’s mother had given her a vintage Smith-Corona typewriter in excellent condition. She wanted to showcase it. 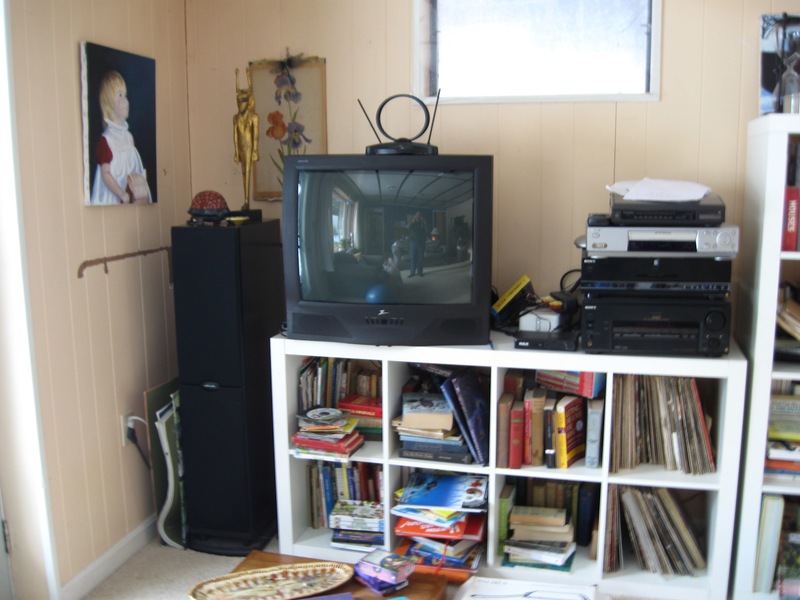 We put other items away, including books into the bookcase next to the desk. When we spoke on the phone, Alix said that she sometimes cleans for about six hours, then doesn’t do anything for a month. 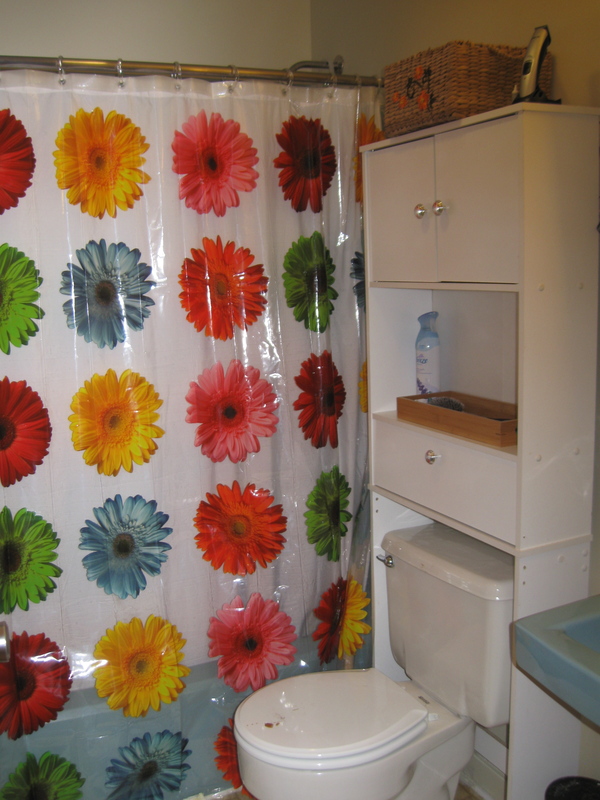 As we worked in the bathroom, I suggested that she use disinfecting wipes around the sink and commode every day, to keep ahead of those tasks. 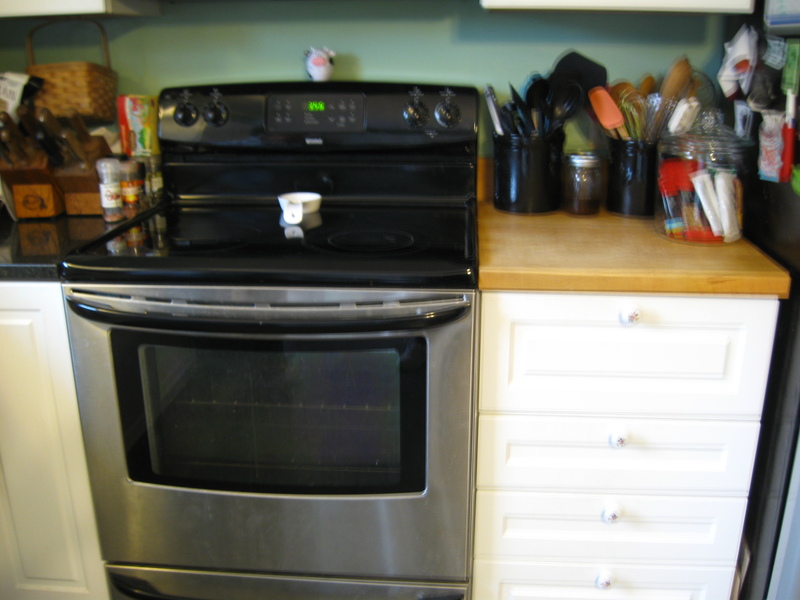 It takes almost no time at all, and makes bigger cleaning jobs less daunting. 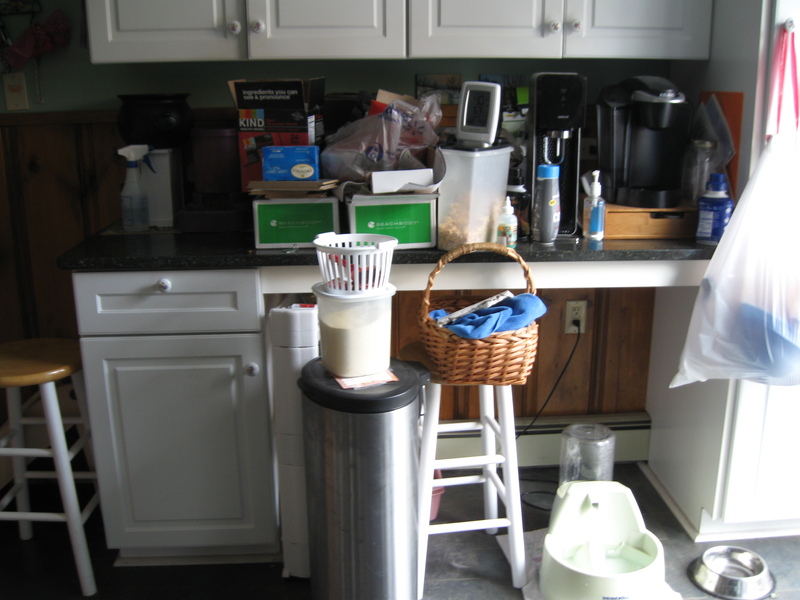 With our remaining time, we moved into the kitchen. 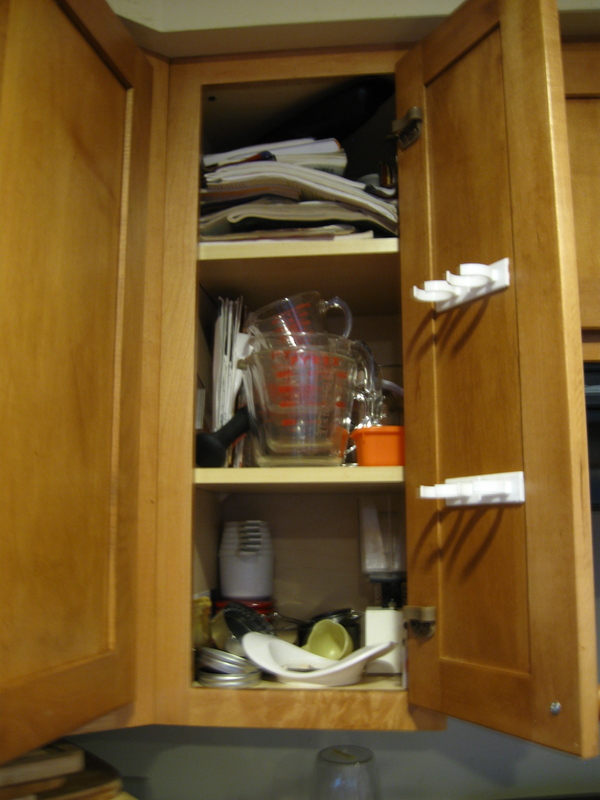 I suggested shelf extenders to “buy” unused, wasted space in the cupboards. 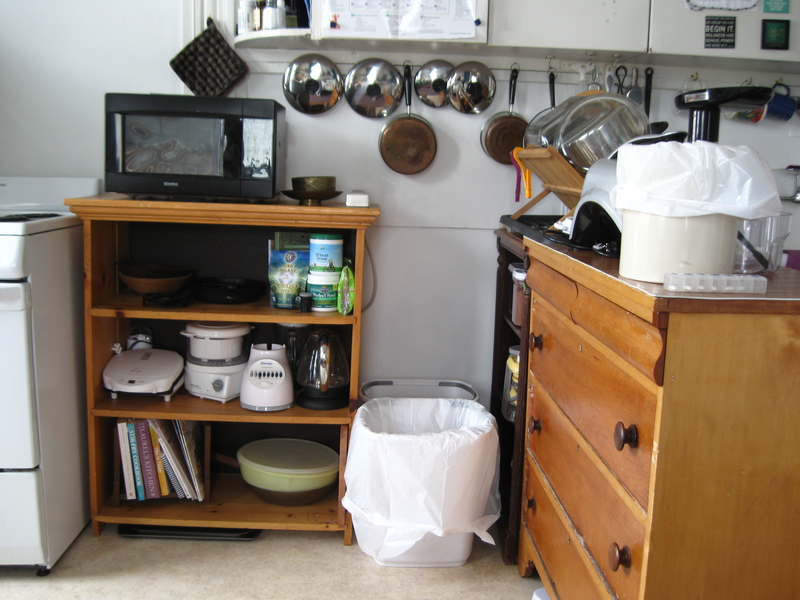 We shifted some items around, like grouping baking supplies together, and placing big cereal boxes on their sides on top of the cupboards. 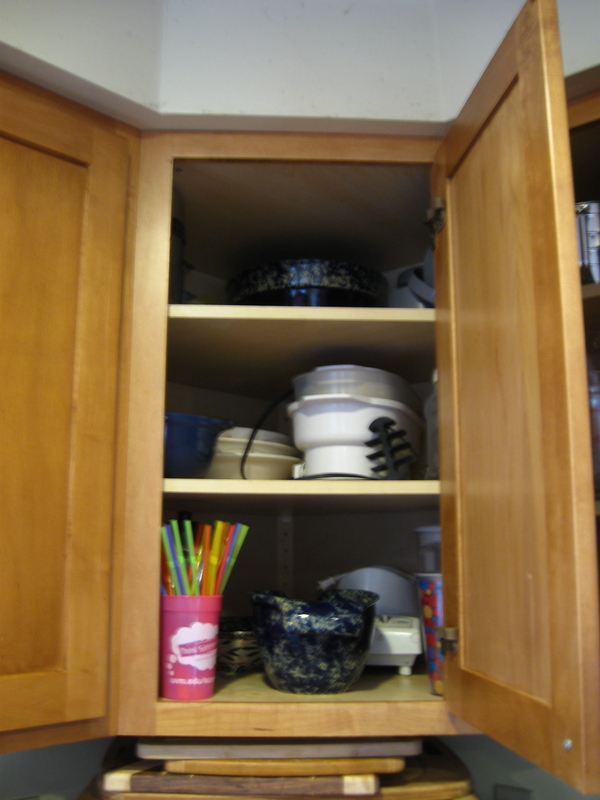 Rarely used appliances and big platters went into the cupboard above the fridge. 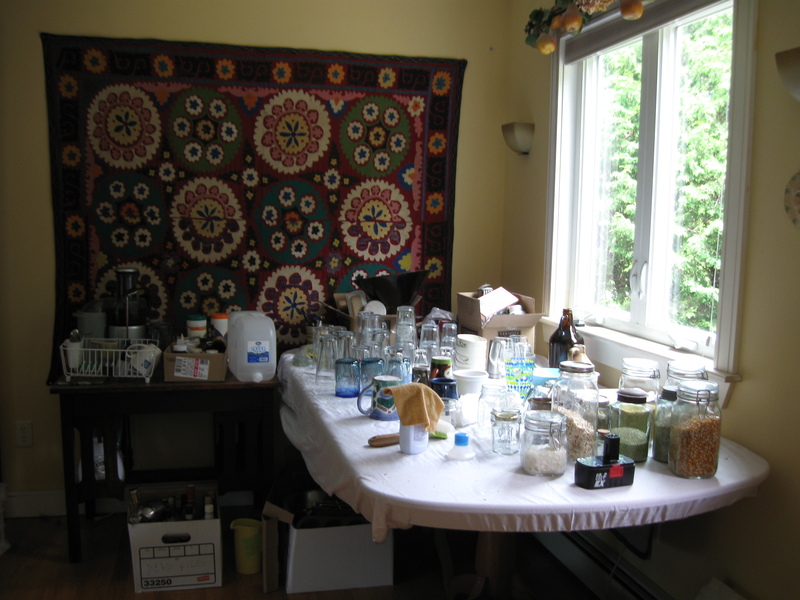 We agreed that some items, like flour and various grains, would stay fresh longer if stored in plastic containers, which also might use cupboard space better. When our three-hour session ended, Alix was pleased. 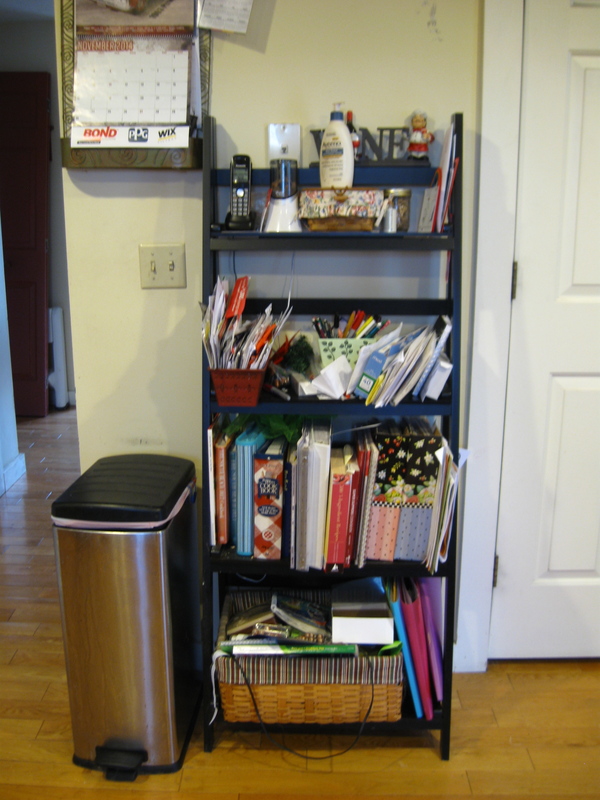 We’d conquered some clutter. She had some suggestions about how to stay ahead of it, and some new habits to add to her busy routine. Success! 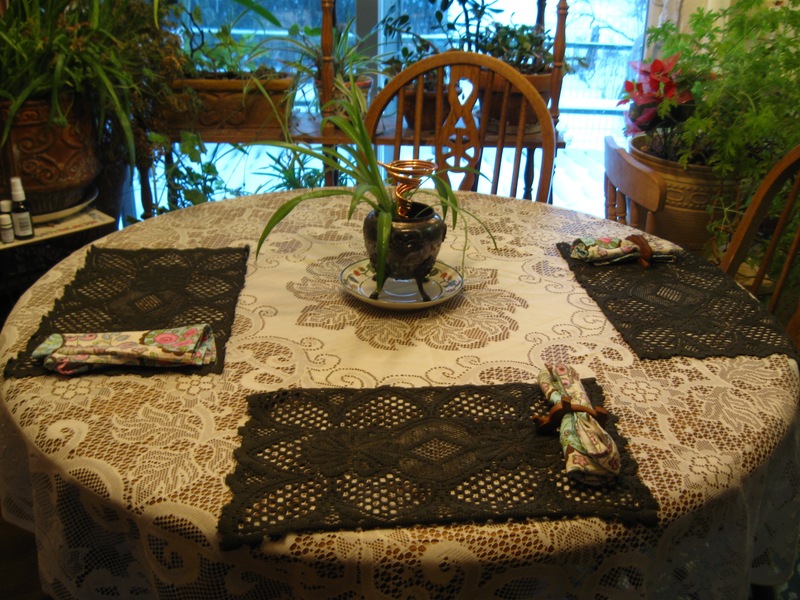 She asked me to help her to decide where to put some items, then to empty the dining room table and return it to its real use. We listened to music, worked fast, and shared some laughs. 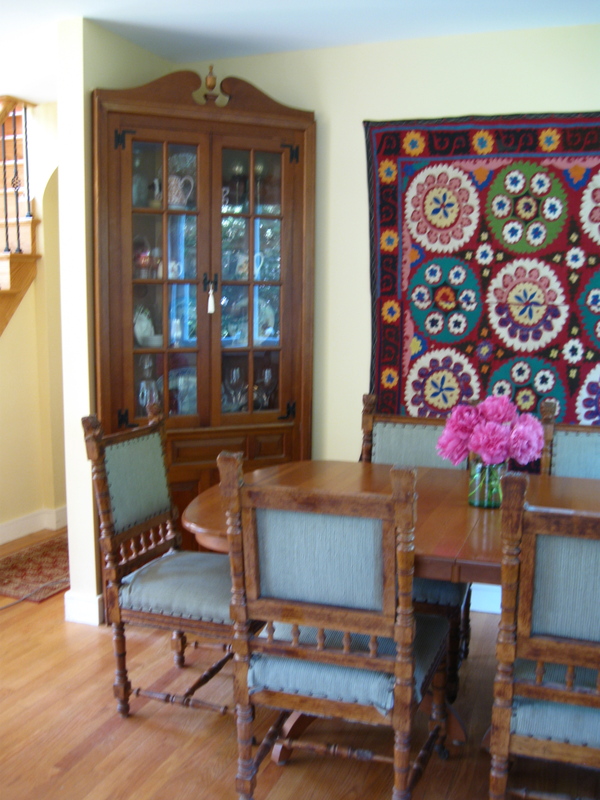 Before long, the table was back where it belonged, complete with a vase holding gorgeous big, fuschia peony blossoms.